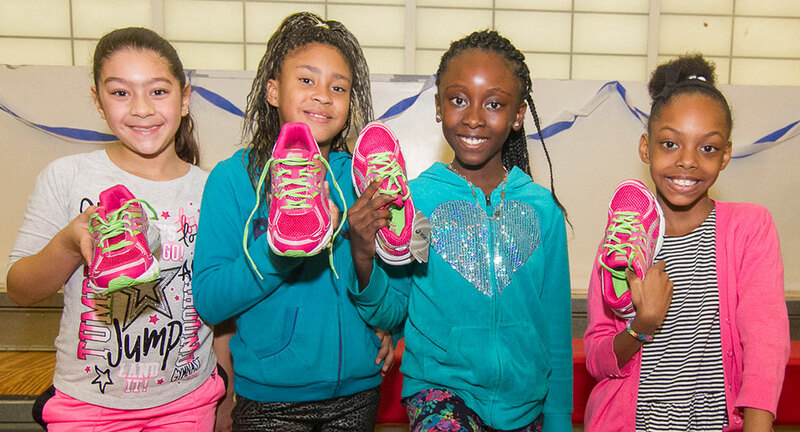 Each holiday season the Dashing Whippets take part in NYRR’s Sneaker Drive, making donations to buy new running shoes for kids in the NYRR’s Youth Programs. 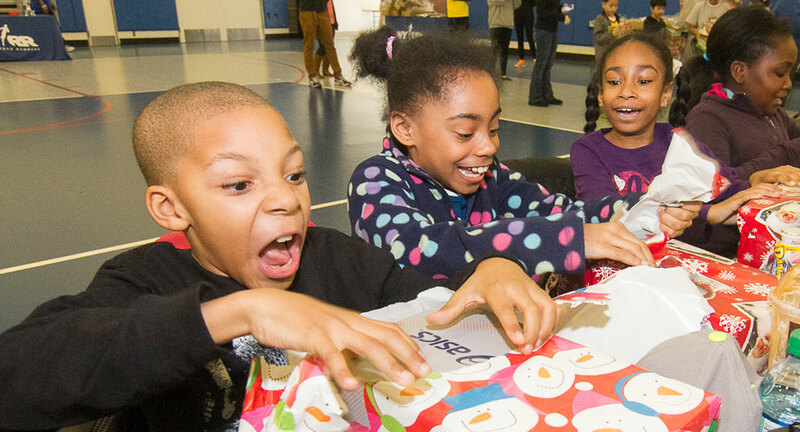 On face value you wouldn’t think that new sneakers would be so much of a big deal to NYC kids. However, many of the kids to come to the NYRR programs in basketball shoes or Timberlands, that’s pretty much the only shoes they have. Providing these kids with proper running shoes makes a huge difference, not just in their ability to run, but moreover they tend to stick around in the program longer. It’s a tangible sign to them that people care about them running and maybe it’s something that they should invest themselves in. 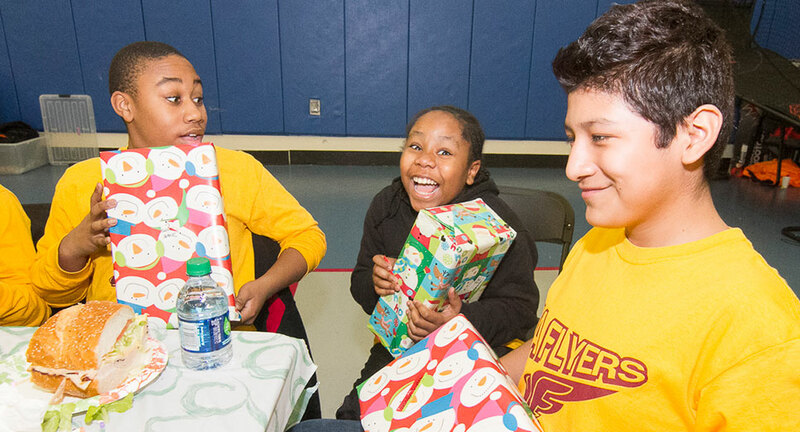 New York Road Runner’s Youth Programs serve 400 public schools in NYC, mostly elementary and middle schools, with over 100,000 kids taking part in the various programs each year. Nearly all of those schools are in areas that would be considered in need. Mighty Milers and Young Runners are are the two biggest programs, school-based initiatives for getting kids running regularly. Running sessions might take place in gyms, schoolyards, or even in the hallways, but they’re always fun and often the highlight of a kid’s school day. Moreover, as PE is increasingly being removed from the curriculum altogether, these are often the only times kids get any type of formal exercise at school. The programs are completely free to the schools themselves. NYRR relies on teachers and parents to put on the sessions and then support them with training and resources to be successful. However, this simple lack of running shoes is one barrier the teachers are not able to easily overcome. Any donation that you can make to the Sneaker Drive will go directly to purchasing discounted running shoes for kids that teachers have identified to NYRR. 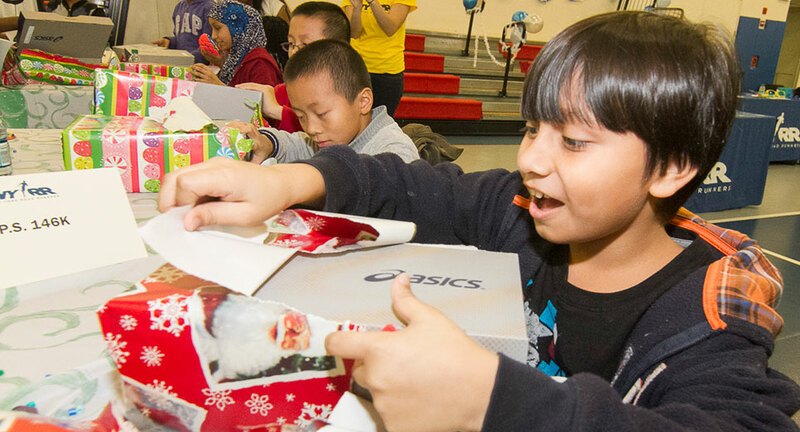 This year NYRR’s partner ASICS are also matching all donations by providing a second pair for each one bought through the Sneaker Drive. Please consider donating to the Sneaker Drive using the link below. Our goal is to surpass the amazing total of over $3,000 we raised in 2013. DWRT is at the forefront of this campaign and our continuing support has made a huge difference. If you’re interested in seeing it first-hand we’ll also have some volunteer opportunities for the NYRR Sneaker Party in January.